CPDDBlog: Good morning and thanks so much for your time. You have won a number of awards for your service--what does winning the CPDD Distinguished Service Award mean to you? Representative Kennedy: This is an organization that’s been filling this important role that I’ve been trying to support through my efforts, and that is to bring greater awareness and understanding amongst not only the professionals in the health care system but also amongst all Americans as to the disease of addiction, and how we have it within our own power to implement a lot of the best understanding and science out there as to how to best treat addiction. We need to do it like we would any other health care issue, with the same medical urgency that we would bring to cancer, to diabetes, or to heart disease. There are a lot of complementary efforts that need to be taking place almost concurrently for us to bring this message out effectively, because better science informs better evidence based practice, which not only can bring the most effective therapies to people in need but also can help bring greater enlightenment and in the process help us destigmatize illnesses that have not only the insult of the original injury of having a physical disability but the insult of that injury as well to have stigma marginalize the people that suffer from that injury. So, that often results in people not only dying from these illnesses but also further destruction and pain being caused and again, we have a very important time right now, and that is the understanding of the brain and the implications of these illnesses on our country are now made apparent by the fact that they are within our own power to treat people and in the future perhaps even cure people of many of these very disabling diseases. CPDDBlog: Tell us about your One Mind For Research Campaign and why you liken it to President Kennedy’s project to the moon? Rep. Kennedy: The metaphor of the moon shot is instructive to what we want to bring to the effort to unify all of the science around the brain because in order to succeed in this very wonderful historic effort that we made to go to the moon and back within the decade, we needed to work together and, in order to go to inner space, just as we went to outer space, in order for us to succeed, we need to work together. That is for a number of reasons, most importantly, the science is agnostic to the politics of disease-centric research. In other words, the science says an understanding of the fundamentals of how the brain works, the neural circuitry, the genetics, biomarkers, the like, all of the basic work that needs to be done to uncover the mysteries of the mind, that work is fundamental to the success of every specific disease-centric outcome or cure that a patient advocacy group or a specialized set of medicine is looking to uncover. The whole idea is that the sooner we share what each of us knows in our respective areas of research, the sooner we all come to a better understanding of how those discoveries in another area of brain science can accrue to the advantage of “our” area of brain science, because at the end of the day, we all are united by the came organ, the brain, as opposed to being divided by the very siloed, disease-centric approach to research. In my life, as somebody who has suffered from addiction, depression, the like, a lot of the medications that have been useful to me, have been medications that were not discovered or originated from research on addiction, but rather are drugs that resulted from research done on epilepsy or some other kind of neurological disorder. So that, in a very real way, we have a vested stake in everybody succeeding in their research because we don’t know where the answers to our research are going to come necessarily without doing the whole of brain research in a way that brings collaboration amongst all the various aspects of neuroscience. CPDDBlog: Recently, you Co-Chaired the Inaugural Next Frontier Conference. Can you tell us what your goals were for the Conference? Rep. Kennedy: What we are essentially missing today, I believe, is a public understanding of how significant the possible advances are in brain science to every family in America, from autism, to Alzheimer’s, and to addiction, and everything in between. We don’t have, I think in my mind in this country—we haven’t connected the dots between how big a burden of illness this is, to not only the patients who suffer from these illnesses but also to their families, and also to our country economically, through our medical system. And, we haven’t connected those dots to the potential for breakthrough research that could alleviate the burden and pain of these illnesses in our personal lives and in the life of our country. And we haven’t made transparent the possibility and potential for these enormous discoveries and what transformative impact they would have on the lives of our family members and the life of our country and our economy. And so in a sense, we have ultimately, as I said to the Society for Neuroscience over a year ago when I first introduced this idea, we need to bring political science to neuroscience. We need to work on the public relations aspect, if you will, and bring greater understanding and transparency into the neurosciences, for us to start to see a change in the political environment that we are living in. Such that, more urgency is reflected by our policymakers, and by industry, to invest more money into the discoveries that are lying in wait for us to reach them. The key here is unlocking those dollars that are going to help have a return on investment that dwarfs any other thing that’s ever been put forward in terms of investment opportunity. There is really no better return on investment that our country can make than brain science today because its not only a huge financial windfall for this country to mitigate or altogether alleviate the burden of illness of Alzheimer’s, or autism, or addiction, but the return on investment is so much more than just the enormous financial return from preventing the burden of illness, by curing it, and discovering the keys to more effective therapies. In a sense, the return on investment is going to be found and numerous families are going to be saved the heartbreak and suffering of having these diseases no longer go unchecked. CPDDBlog: What insights emerged from the Conference? 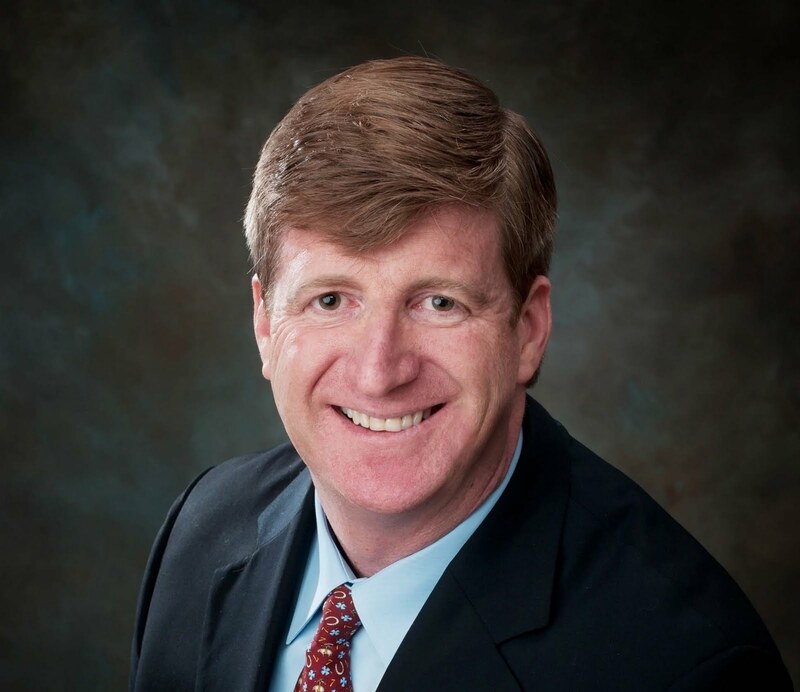 Rep. Kennedy: The conference was convened around the first central notion that we all share the same brain—sounds so simple but as the saying goes what’s common isn’t always common sense. Common sense isn’t always common. Ok, so what’s basic as in basic science isn’t always basic to everybody. They’re not paying attention to it. As the author of the Mental Health Parity Act, I realized how difficult it is to get people even who share the common interest of equal treatment of mental health reimbursement, to other physical and medical reimbursement issues, to even getting all of them to agree to work together. I have my work cut out for me with Jim Ramstad to get people of “biologically based mental illness” to work with the “affective disorders”, i.e., the more psychiatrically based disorders and I even think that that’s pejorative because “psychiatric” has come to mean something other than neurological. I mean for people who are in the field, it’s clearly neurological, but to the body politic, its psychiatric which has kind of a more pejorative connotation meaning that is not physical, its psychiatric and not neurological. So, those of us in the field of neuroscience that care about this cannot afford to be divided when we’re facing huge ignorance and hence stigma, we need to be united because we’ll be a lot stronger united than we are divided. That’s what I mean when I say we need political science in neuroscience because the whole idea here is that we can’t afford to be fighting amongst ourselves when we’ve got a much bigger battle to wage. And that big battle to wage is for money for brain science collectively that benefits all of us. So we can be so territorial and be about all political turf, when we’re looking at our respective 13+ Institutes of the NIH that focus on the brain and think that this is just about us getting ours. We’ve got to be thinking about transforming. Because if we do that we will be doing something akin to rearranging the deck chairs on the Titanic—we’re not going to be averting the iceberg. We’re just repositioning our seats on the Titantic and we’re all going down. So, its not going to behoove anybody to try to get their better position because we’re in a losing scenario right here with the lack of funding coming from NIH at a time when the opportunities are better than ever before. We’re in a losing situation—we have a lack of funding from industry because the CNS area is being withdrawn from by major pharmaceutical companies, and we’re in a losing situation when the general public still looks upon these issues as signs of moral turpitude as opposed to the scientific issues that they are. So, if we have to from beginning to end really reorganize ourselves and design a game plan to win, that will require all of us working together to make it work. Frankly, I think its also going to require, like the moonshot did 50 years ago, us making this about national security, because in our nation’s history, the galvanizing moments that gave us what’s known as emergency science, the Manhattan project which gave us the nuclear bomb, the moon shot which gave us the space race, you know, whenever we’ve had emergency science prevail, its been because we’ve made it about national security. I believe that the emergency that will unite all of those who are interested in everything in the spectrum between in the past as they called them “biologically based disorders” and the “affective disorders”, the whole arc of brain science, will be covered, if you will, by our efforts to conquer PTSD and at the same time TBI on behalf of our nation’s heroes, our soldiers and veterans. Because if you tell scientists we’re going to take on TBI and PTSD, in the course of doing all the research on those major areas of research, we’re going to unlock all the other named disorders that fall within those broader challenges. CPDDBlog: As we all are aware, it is becoming increasingly difficult to obtain research funding from NIH to advance substance abuse research and treatment. What can be done to make sure that our research area not only survives but also thrives? Rep. Kennedy: First of all, you have to understand, we have to rebrand everything about neuroscience and these illnesses. We’ve got to do it in a way that destroys stigma and all those things that hold us back from getting the commitment of everybody to treating these diseases as if they were cancer, or as if they were heart disease, or as if they were diabetes. We need even more money than is commensurate with the burden of illness, but if we only got the amount of money commensurate with the burden of illness, the ratio of which we are putting money in research up against the burden of illness, we would have more money now today than we ever would have even dreamed of. Because we’re not even at parity. That’s what I’m saying. We did mental health parity in treatment, but we have yet to get mental health parity in research and we’re never going to fight and win these battles, I’m just saying this as a politician, until we change the whole game and get out of what’s familiar to us and start to come up with a new messaging campaign. When everybody cloaks these illnesses and hides them, and is ashamed to talk about them, the political environment will never respond in like kind to the demand for us to conquer these illnesses. Because we’re not putting a public face on them and we’re not doing it in a way that brings the public and the nation’s attention to these illnesses the way it needs to be. You change the political environment, you change everything. You change the funding streams, you change the sense of urgency, and dictates of those funding streams, you change everything. And you do it by seeing the difference between the forest and the trees. We’re all in the forest right now. We’re right in the middle of the woods and we’ve got to step back and think anew about how we go after this. It just seems to me as a politician, when I see our veterans suffering from all the symptoms that run the whole spectrum of neurological disorders, the symptoms of every neurological disorder that’s out there, I see that they are falling through the cracks of our health are system because it isn’t a health care system that’s been designed yet to deal with treating these neurological disorders. A light goes on in my mind, that if we win it for the veterans we’ll win it for everybody. And that if we help our veterans, our veterans will be the answer to all of the public’s concern about these neurological disorders because the veterans are suffering from all of them with greater burden of illness than anyone else. When you look at the suicide rates of our soldiers and you look at all the other indications of their situation, you can’t help but understand that we’re not getting it right and I know just intuitively that if we ever were about trying to get the help that our soldiers need, we’ll win the day for everything having to do with neuroscience because the soldiers need all the research that is going on out there on everything, because the soldiers are suffering from these symptoms at a greater rate than any other American group. Most importantly, our soldiers aren’t stigmatized and in a sense have the opportunity to destigmatize these illnesses in a way that allows the rest of the country to come along and embrace these disorders as the medical issues that they are. CPDDBlog: Lastly, CPDD members are eager to help with your "neuroscience moonshot—one mind for research" initiative; are there specific things we as individuals and as a scientific society can do to support your efforts? Rep. Kennedy: Yes. One thing is as I said, this is a political campaign of sorts. We are working with the veterans community, particularly the Iraq and Afghan war veterans of America, to highlight the fragmentation of care, the inadequacy of the science to meeting the needs of our veterans and all Americans through doing a new series of parity hearings. Many in your audience will recall when Congressman Ramstad and myself went across the country and held public hearings where we took Congressional testimony and later were able to submit that testimony to all Committees of jurisdiction in a way that informed ultimate passage of Mental Health Parity, and assisted in its passage. So, clearly we have it as the law of the land today that the brain is like any other organ of the body and needs to be treated with the same medical urgency and reimbursement rates. But we know that just because we passed the 1964 Civil Rights Act and the 1965 Voting Rights Act, that that didn’t eliminate racism and bigotry, so what we need to do is we need to go out across the country and we need your help to set up these parity hearings across the country just like we did years ago when we were building the campaign for mental health parity bill in Congress. And we need to do this to highlight the gap in care for the over 72% of all veterans who will never visit or enroll in the VA in their entire lives, most of whom are members of the guard or retired guard and reservists, and therefore will be getting their health care for their PTSD and their TBI through the private insurance system and for whom the parity bill is going to represent the opportunity for them to get the treatment for their invisible wounds of war, the way that we owe it to them to be treated for every other of their physical wounds of war. In my mind, we’re at a very important moment to bring this issue to the public consciousness because the suicide rates of our soldiers are epidemic. So is the incarceration rate of our soldiers. But we’re not always as good at telling these stories because people feel shamed of these statistics. But in a sense, we can help destigmatize the individual’s suffering by showing that this is part of a much bigger pattern that represents a public health issue—that’s what we’re talking about, not that of an individual issue of personal moral lapse on the part of anybody suffering from these illnesses. CPDDBlog: Again, thanks very much for your time today, your leadership, and your contributions. We very much look forward to hearing more about your work and to thanking you and congratulating you in person at the upcoming CPDD meeting. Rep. Kennedy: Well thanks, frankly, telling and getting this story out is obviously a big part of what we’re working on here. Its all about getting more awareness out there. People will wonder why did it take us so long to respond to this crisis. This is a chance for us to move and make some difference and I think that everybody in this field clearly understands the significance of urgency in this issue but we’ve got to bring it to the public. CPDDBlog: I think we’d like to play an active role not just as researchers but to get involved with the political science as much as we can. Rep. Kennedy: Well that’s music to my ears. Because I think everybody doing the research knows the nature of the politics is what affects their ability to get what they need to get done done. And that intersection is a very important enlightenment that we have to reach, and I know that your group is very onto that intersection, so thank you. Learn more about Mr. Kennedy here.